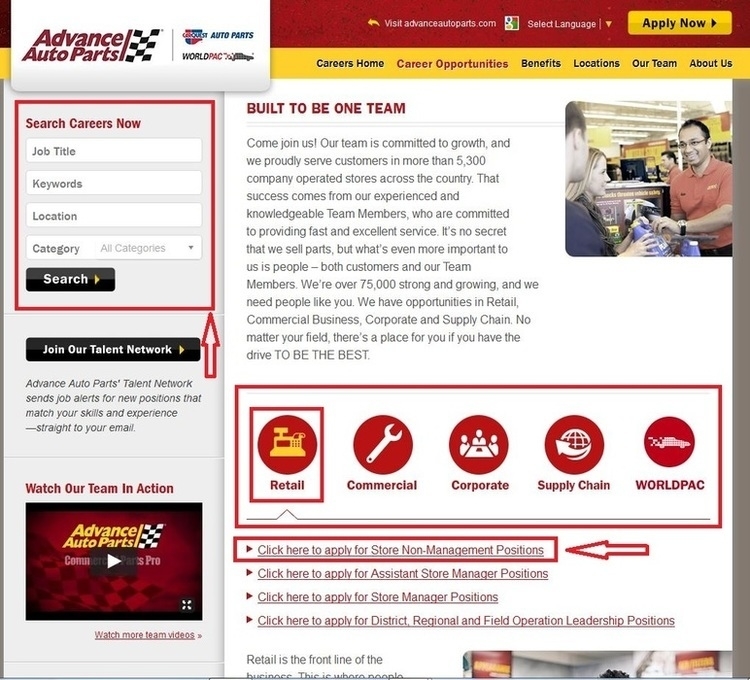 Enter Advance Auto Parts careers page - advanceautoparts.com/careers or to view current available job positions. Choose your job of interests to apply for. You can also search careers by entering a job title, keywords, location, and electing a category. 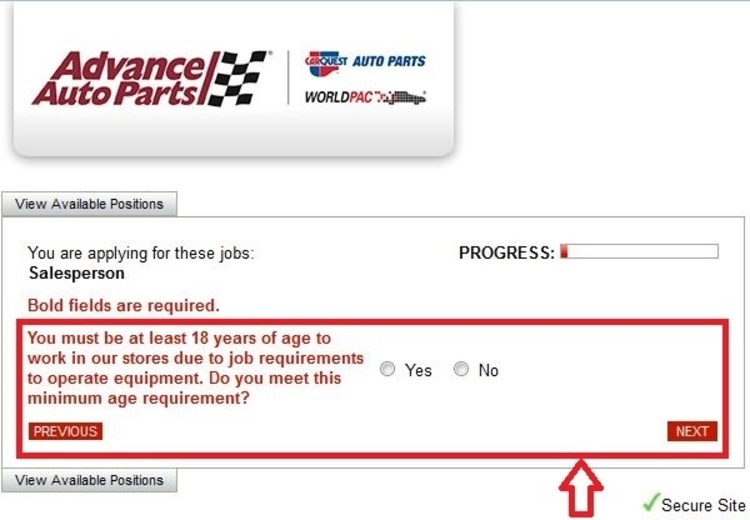 Check the box besides the position(s) you are interested in and click “Next”. 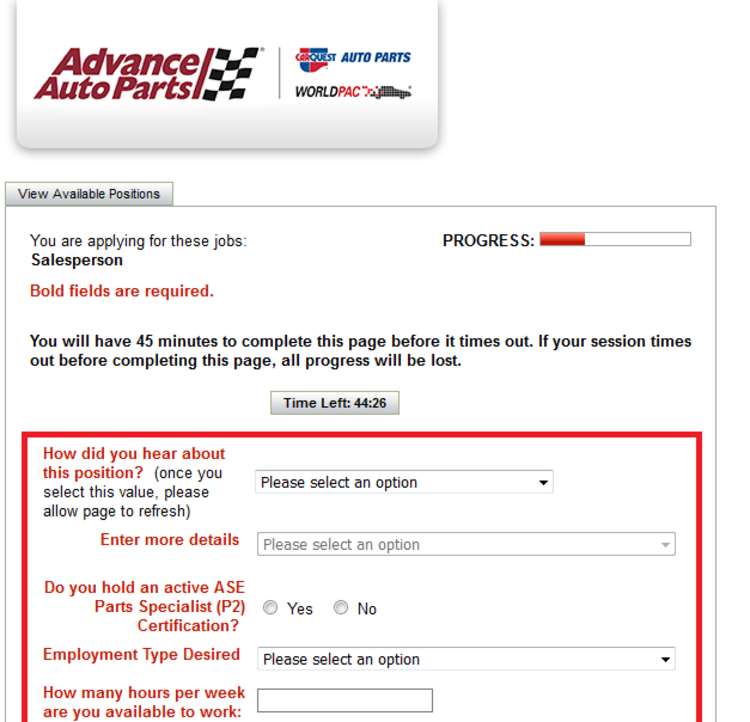 There are 3 questions you need to answer before your applying for Advance Auto Parts positions. 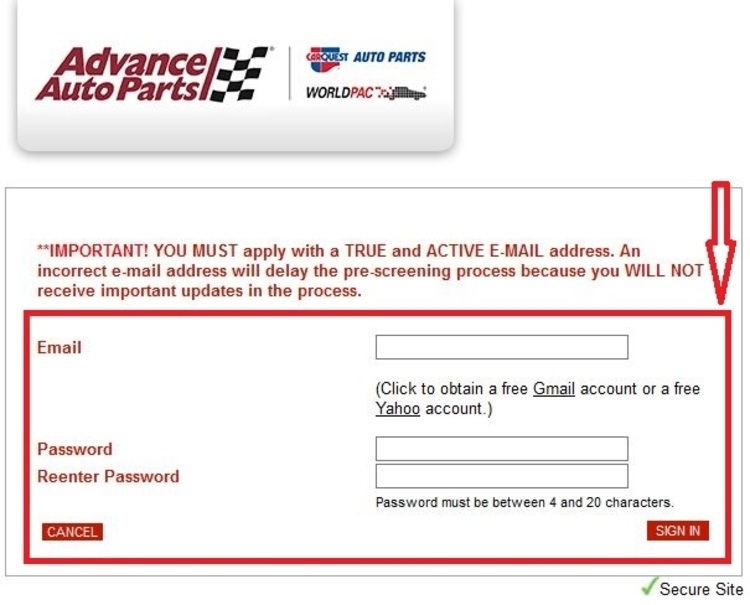 Create an Advance Auto Parts account with a true and active email address. 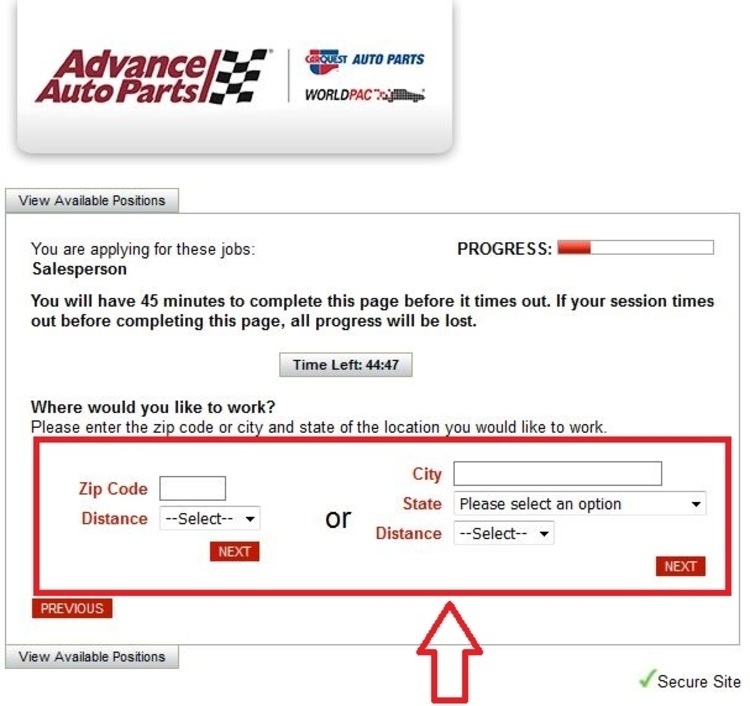 Enter the zip code or city and state of the location you would like to work, and click “Next”. You will have 45 minutes to complete this page before it times out, or all progress will be lost. 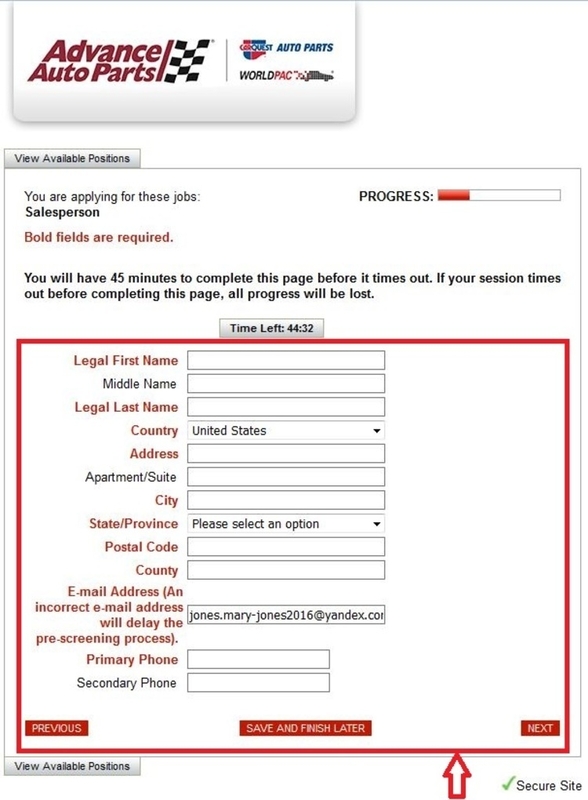 Fill out the information required for completing your application within 45 minutes, including your name, address and phone number, etc. Follow the instructions and answer questions according to your actual conditions. You are required to have a valid driver’s license with a minimum of 5 years of driving experience. Click “NEXT” to continue completing your application. 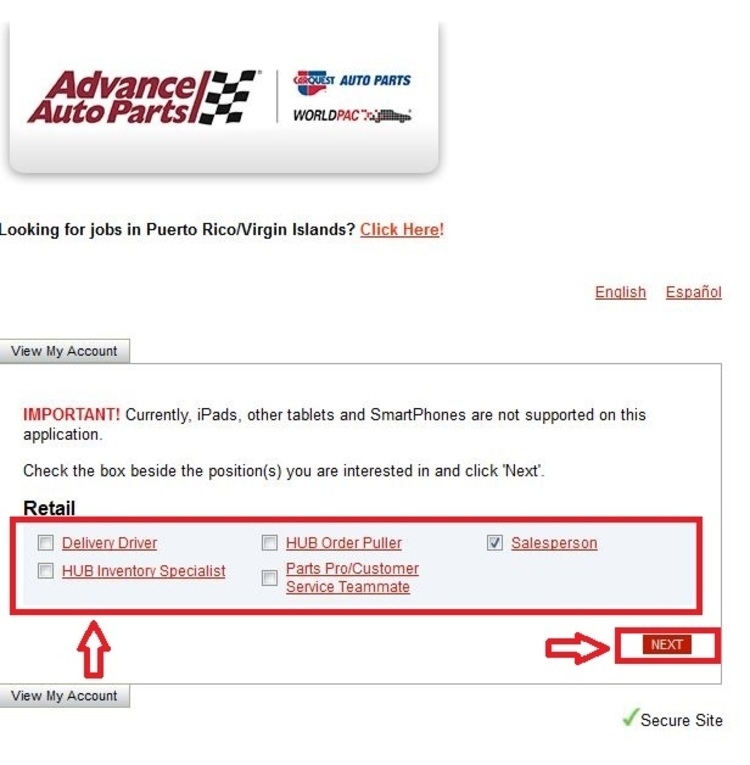 Click advanceautoparts.com/careers to apply for Advance Auto Parts jobs online.